The settings options are available by clicking on the Settings icon in the top right corner of the Messages section. 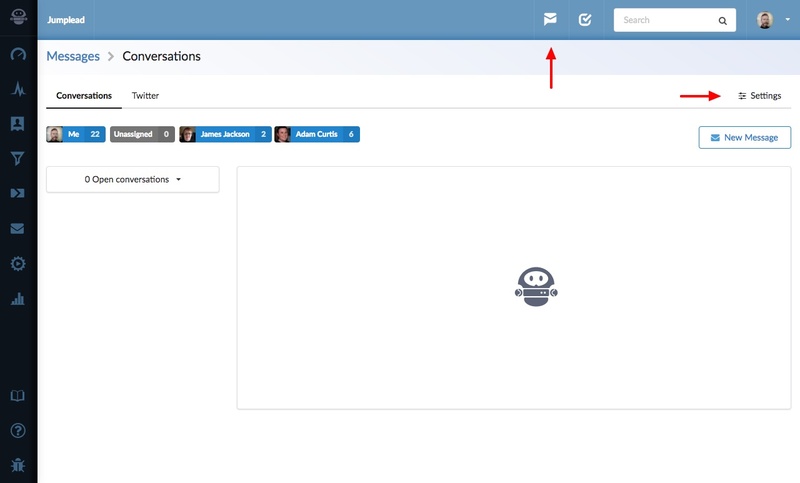 Tip: When you make changes to the design and content for the chat widget, in order to view the changes you have made you will need to view your website in a new ‘privacy mode / incognito’ session, as settings for chat are cached in your browser. 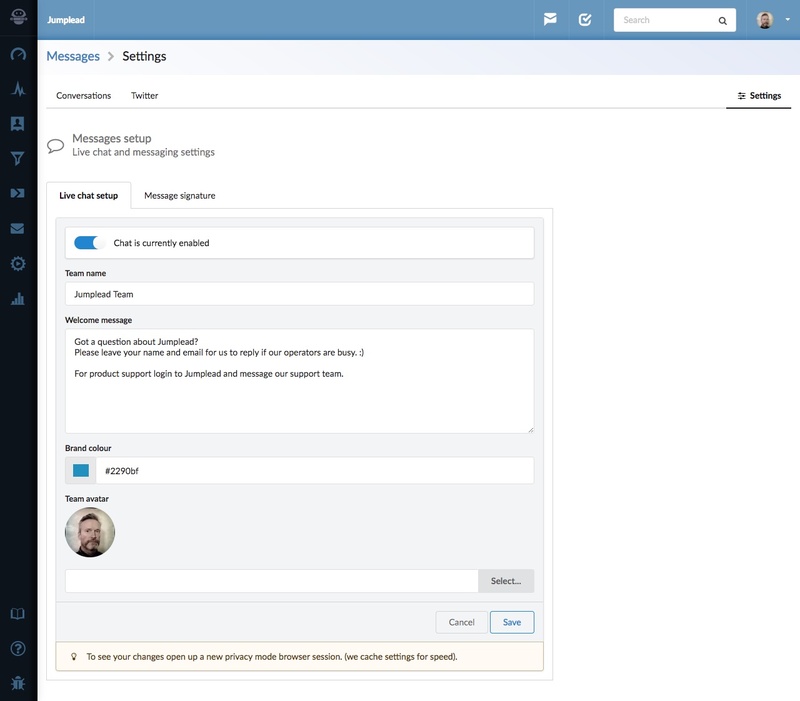 You can control whether the chat capability is enabled on your website and customise elements of the chat widget including a brand colour, welcome text and team leader image. You can also add a HTML footer to be added to the email messages you send when a conversation moves to email. 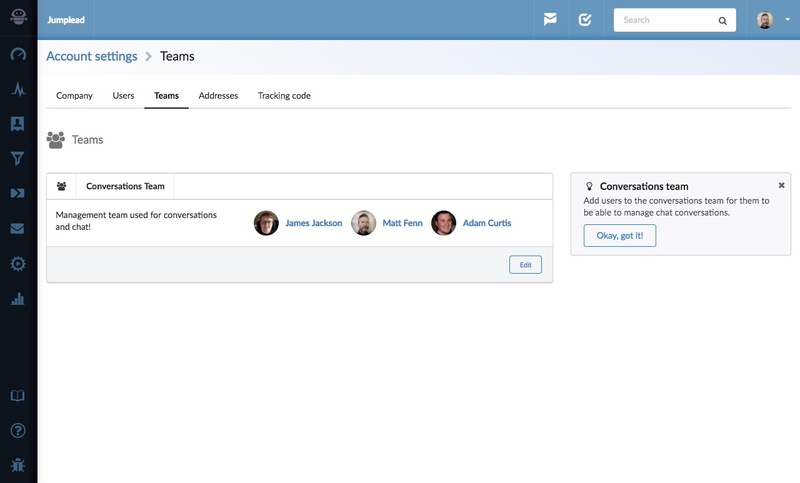 You can choose who is included in the chat team to manage conversations via the ‘Teams’ tab in the Jumplead Settings.